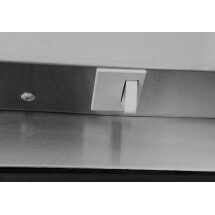 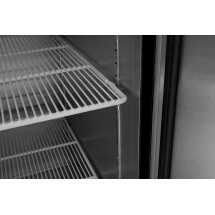 Atosa MBF8002 Top Mount Reach In Two Door Freezer 52"
TigerChef > Restaurant Equipment > Commercial Refrigeration > Commercial Freezers >< Reach-In Freezers > Atosa MBF8002 Top Mount Reach In Two Door Freezer 52"
$3,666.66 Turbo Air M3F47-2-N M3 Series Two Solid Door Reach-In Freezer 52"
$4,033.95 Turbo Air M3F47-4-N M3 Series Solid Half Door Reach In Freezer 52"
$1,834.00 Atosa MBF8001 Top Mount Reach In One Door Freezer 29"
$1,961.00 Atosa MBF8501 Bottom Mount Reach In One Door Freezer 27"
$2,891.00 Atosa MBF8503 Bottom Mount Reach In Two Door Freezer 54"
$3,929.00 Atosa MBF8003 Top Mount Reach In Three Door Freezer 78"
$4,167.00 Atosa MBF8504 Bottom Mount Reach In Three Door Freezer 82"
$3,238.00 Atosa MCF8703 Bottom Mount Two Glass Door Freezer 55"
$2,111.00 Atosa MCF8701 Bottom Mount One Glass Door Freezer 27"
The Atosa MBF8002 Top Mount Reach In Two Door Freezer 52" is the perfect choice for cold storage in any restaurant, bakery, or other food service venue. 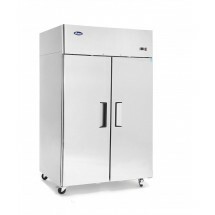 Beautifully designed with rounded corners and a stainless steel interior and exterior, this freezer has an elegant and modern appearance while being exceptionally durable and easy to maintain. 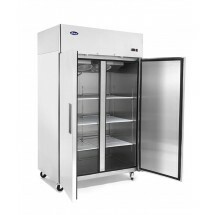 Combining style and efficiency, this two-door freezer boasts a top mount Embraco compressor with a low noise and vibration level and is ideal for use in dry storage areas where products might be spilled. 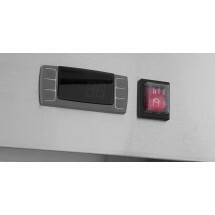 Thanks to its excellent refrigeration system, this reach-in freezer maintains product temperatures between 32°F and 38°F while its Dixell digital temperature control system ensures precise temperature monitoring. 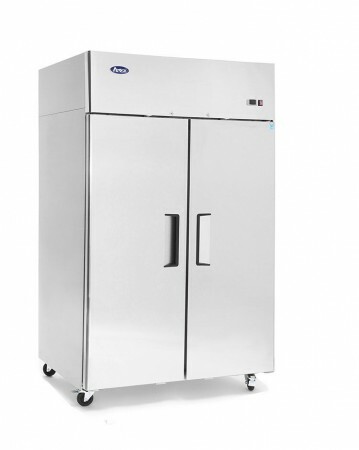 An energy-efficient option, this freezer saves up to 40% in energy and has flexible magnetic door gaskets that seal in cold and moisture. 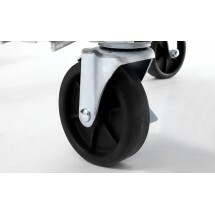 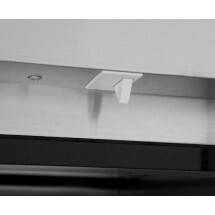 Built for years of use and convenience, this unit has pre-installed epoxy-coated shelves that are rust and corrosion-resistant, two doors with recessed handles, and a standard safety lock. 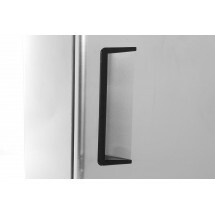 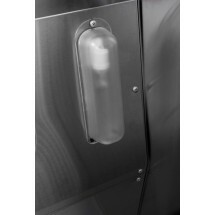 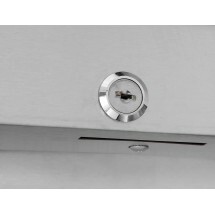 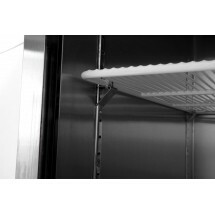 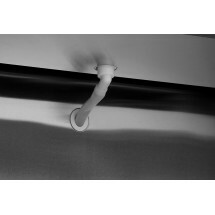 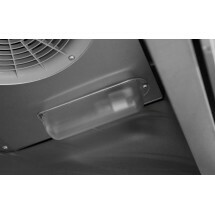 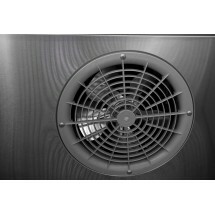 Freezer can be set to: 0-8° F.
Dimensions: 51.7" x 33.3" x 82.9"